Low density (28 – 50 Kg/M3) rigid Polyurethane foam is a highly effective thermal insulant. 50mm thick rigid PU foam provides the same insulation value as 80mm of Polystyrene or 90mm of mineral wool. 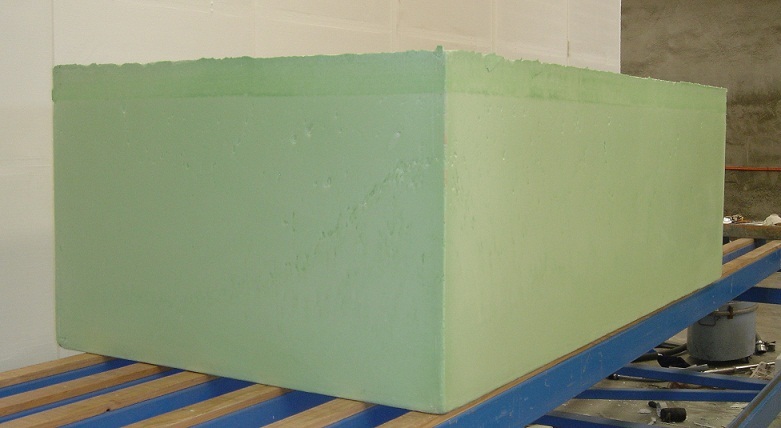 Slabstock can be produced by either continuous or discontinuous manufacturing processes, before being cut to sheet form or profiled into insulation boards or pipe sections.